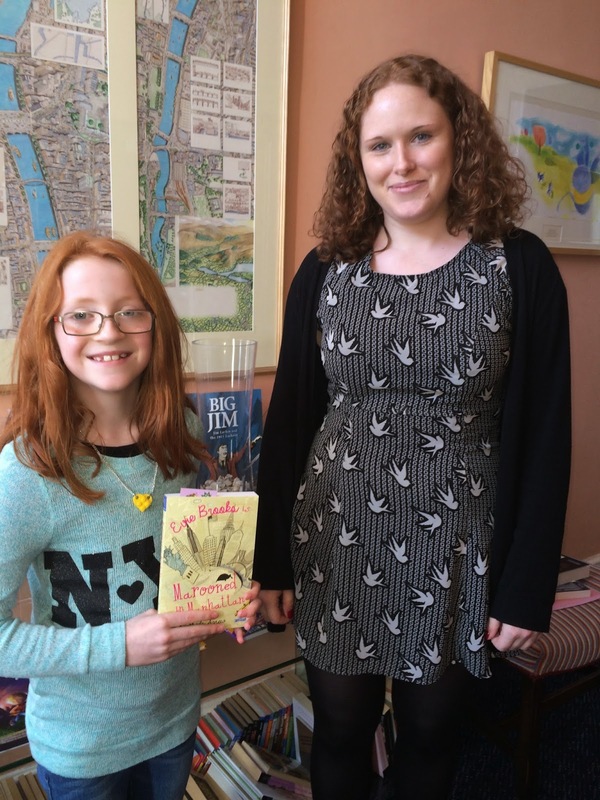 BleachHouseLibrary.ie: Mia visits O'Brien Press and discovers the world of children's publishing! 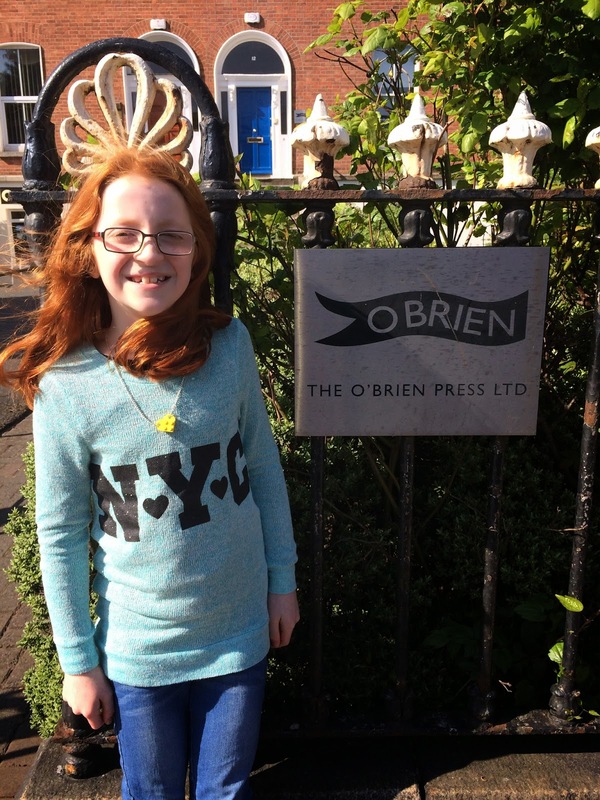 Mia visits O'Brien Press and discovers the world of children's publishing! Mia is 10 years old and, like her mother, adores the world of books. 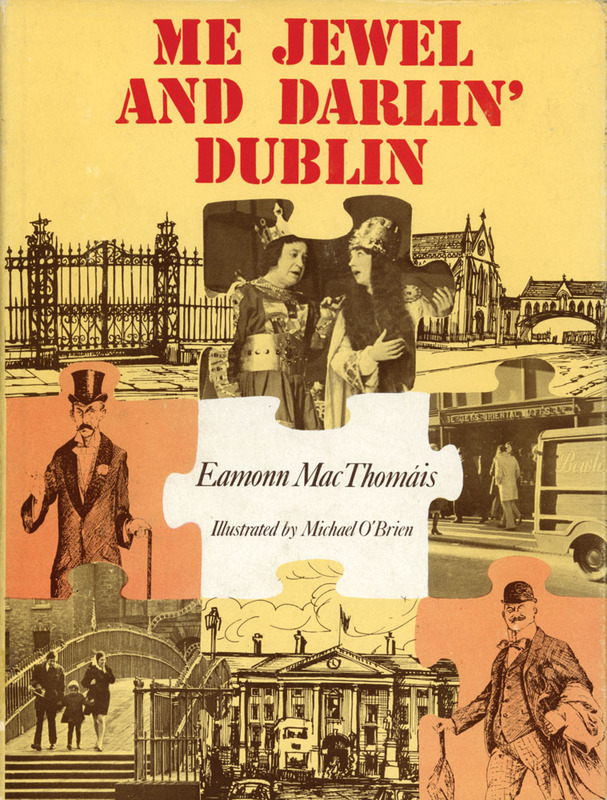 She contributes reviews to this blog as well as to Writing.ie and various children's publishers. She has even had one of her reviews quoted on the cover of a children's book. Her idea of heaven was to visit a publishing house and see how it all works. She planned her questions in advance and thought the day would never arrive! Clare says the best part of her job is that no day is ever the same. There is always new things to be done. She looks after the social media accounts like Twitter and Facebook and updates the blog. She also co-ordinates book events and launches which means she gets to do fun stuff like getting locations ready and making sure the authors are all happy. She works with a great team of people and they do everything they can to ensure the book is perfect and ready for all their readers! When did The O'Brien Press start and what was it's first book published? What is your bestselling title? Do you have any child authors? The O'Brien Press has all adult authors but think that the author's age doesn't matter - just the story and how the readers react. The books are printed all over the world; Mostly Asia and UK. It depends on how quickly the publisher needs to get the book printed and what kind of paper/graphics etc are needed. How long does it take for the book to be ready for the shops? From the time The O'Brien Press decide to publish the book, it can take about 9 months or more. Again, it depends on the style of book, whether it is a picture book, and how quickly the editing process is complete. Also, if the book is for a certain season, like Christmas, it needs to be launched at the right time. Who were your favourite authors, growing up? Clare adored the Harry Potter books by JK Rowling and as a younger child she loved Enid Blyton, especially The FarAway Tree stories. What is your bestselling age range? It seems the blue banded books, typically age 9+ are the bestsellers. Kids love historical fiction and The O'Brien Press supply lots of these titles to schools, bookshops and via their website. Kids of this age love to read and if the book is based on real life, it makes it all the better. You can follow The O'Brien Press on Twitter @OBrienPress on Facebook/TheOBrienPress and they have an amazing website http://www.obrien.ie/ where you can see all their titles and even order them online. Very exciting day out. Nicely told. Sounds like a brilliant day out. I'm presuming Mia wants to be a writer or publisher when she grows up? or both? My kids read 'Under the Hawthorn Tree' in school this year. Both enjoyed it.